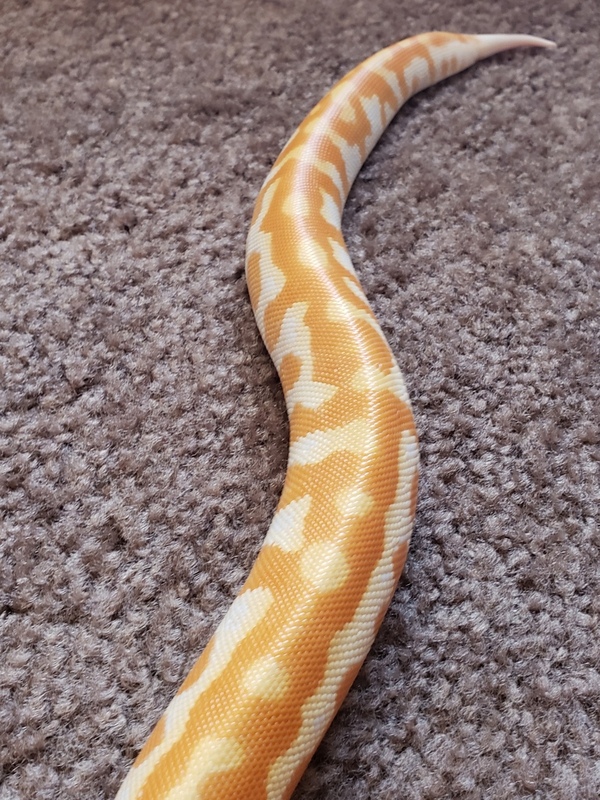 I went to the pet store to get my normal phase Blood Python sexed. 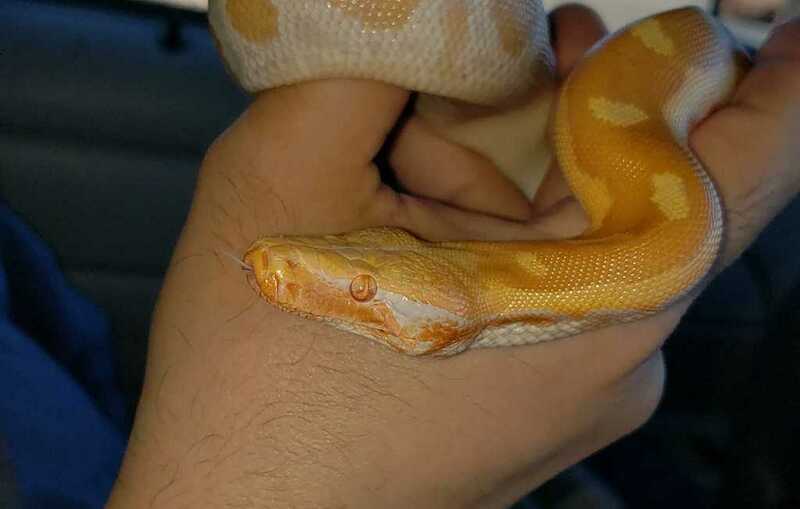 They just happened to have a T- Albino Blood Python, and I couldn't resist the temptation. 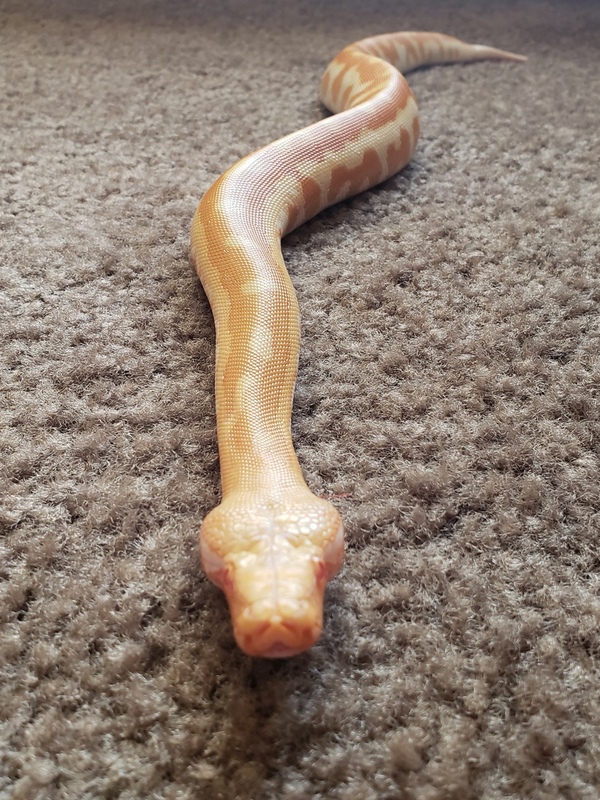 I ended up trading my normal phase with some cash for this T- Albino. 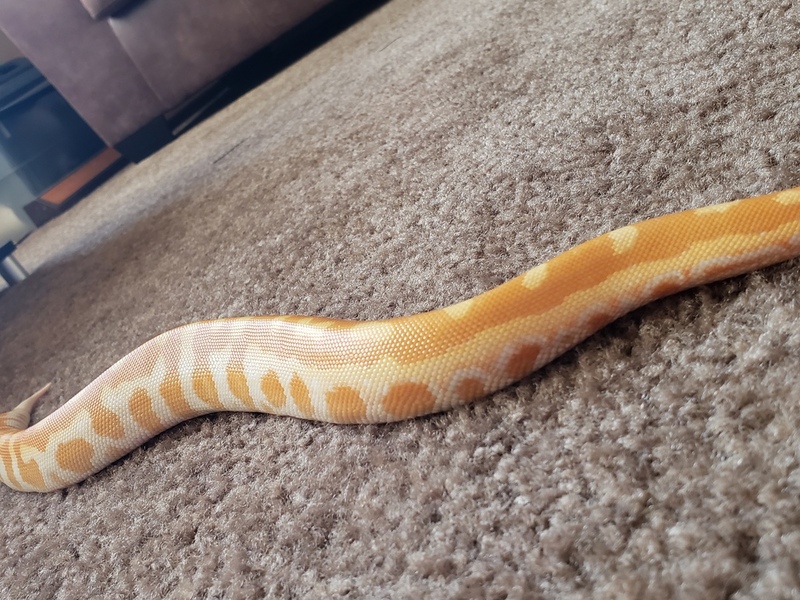 I wanted to say that this snake is an absolute sweetheart. He doesn't even puff up when I go to remove him from his enclosure. I also wanted to mention that this snake watches TV. Im trying to get a video of it, but he sits there staring at the tv, and every so often when the color on the tv changes dramatically he flinches. I have never seen a snak actively watch television. When I get a video I will post it. 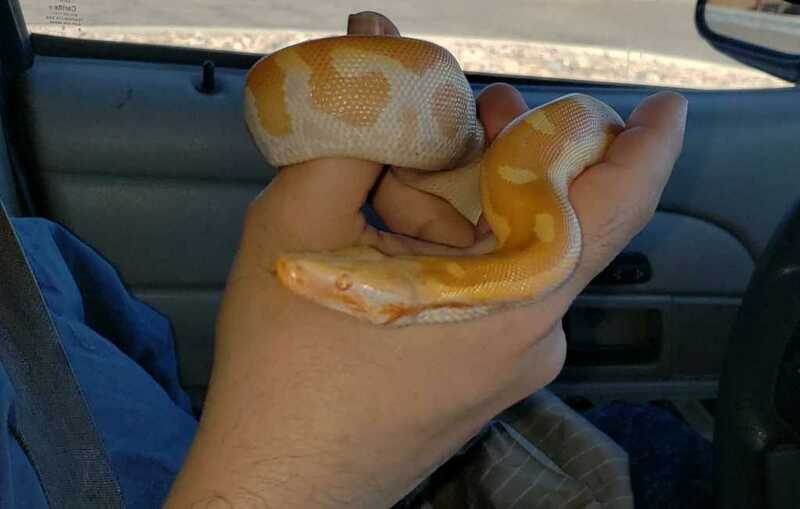 I haven't received any responses, is it an ugly snake or something? Oh yeah really ugly, lol. I kid. Some great color, really bright and looks great. 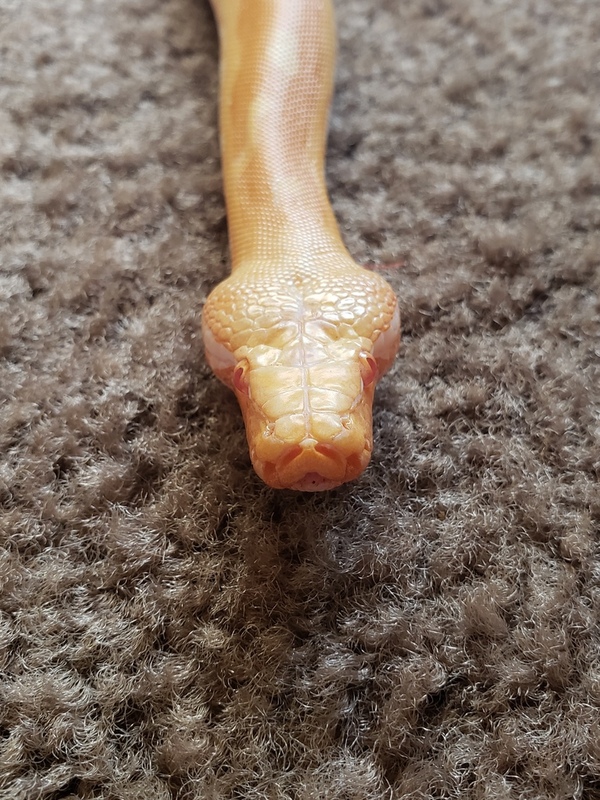 I do have good news about this Blood Python. He ate his first meal yesterday. Exactly a week from the day I got it. He didnt want to take it from the tongs, so I put him a lunch bag with the snake, and then 2 hours later I checked and the fuzzy rat was done. Another note is that this snake is by far the sweetest attitude out of any juvenile Blood I have met. He doesn't puff up, nor hiss when I go to pick him up. He also doesn't mind being held. I have held him quite a bit, and he has shown absolutely no signs of stress. I guess I will use this post sorta like a grow log. 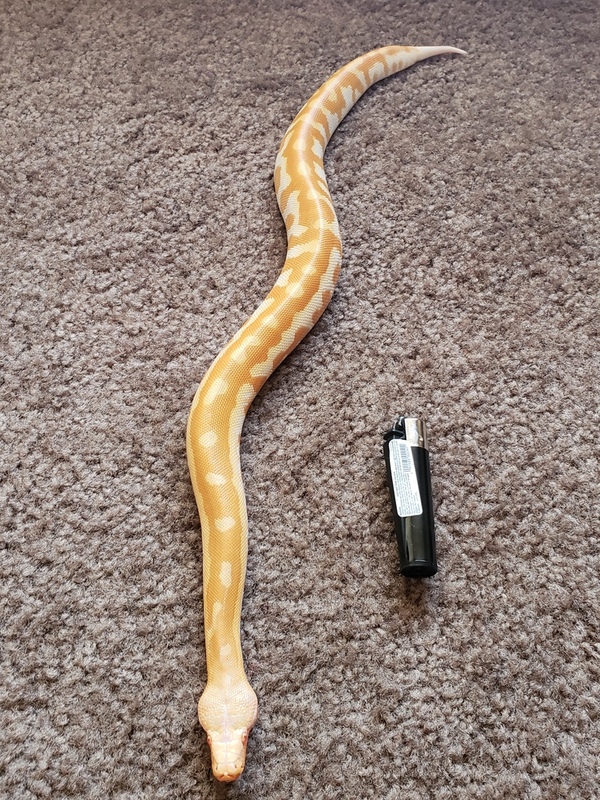 Normally I don't do grow logs, but since this is my first T- Albino python ever I want to keep a log of the color changes as he gets older. I will try to post a photo at least once a month. I have to say that overall I am happy with my purchase. I have no buyers remorse which is good. I name him Sangre, for those who dont know spanish, it means blood in spanish. He’s really handsome!!! I love his coloration! Congratulations!! !